Britain’s latest stress test has sorted the country’s banks into good, bad and ugly. HSBC and Lloyds Banking Group comfortably passed the Bank of England’s annual exam on Nov. 30, while Barclays and Standard Chartered did relatively poorly. Royal Bank of Scotland, predictably, was bottom of the class. The BoE envisages a scenario where UK real GDP falls 4.3 percent, property prices tumble, the world slumps into recession, and oil falls to $20 a barrel. In that situation each lender has to maintain a minimum core Tier 1 capital ratio of 4.5 percent, plus an add-on for bank-specific risks known as Pillar 2A. The biggest ones also have to hold an extra buffer to reflect their size. HSBC and Lloyds were the clear winners: their core Tier 1 ratios fell to 7.6 percent and 9.7 percent in the stressed scenario. That’s much lower than their respective ratios of 11.9 percent and 12.8 percent at the end of 2015, but comfortably above the required pass marks of 7.3 percent and 7 percent. The losers were Barclays, StanChart and RBS, which all failed to reach their systemic pass marks. However, StanChart and Barclays managed to clamber over that hurdle by respectively restricting dividends and converting junior debt into equity. RBS is the problem child. Even though its 2015 capital ratio of 15.5 percent was the highest of Britain’s major banks, it was unable to reach the required 7.1 percent in the stress test – even after converting bonds into shares. As a result the bank has been forced to promise that it will cut more costs, slash risk-weighted assets and sell more non-core loan portfolios. Disconcertingly, the state-controlled group said additional management actions could be required for stressed situations – without saying what they were. The drama of failure shouldn’t lead to concerns about the overall sector. The test’s assumptions are almost all tougher than previous UK stress tests and the European Banking Authority’s exam earlier this year. The risk of a multi-billion-dollar fine from the U.S. government for mortgage misdemeanours helps explains why RBS’s capital buffer is not as robust as it seems. Even so, the test reinforces the class division between UK banks. HSBC and Lloyds are relatively secure dividend-payers; payouts at Barclays and StanChart are in question over the next few years, while RBS remains miles from delivering acceptable returns. Royal Bank of Scotland has been forced to rethink its capital plan after the Bank of England revealed a solvency shortfall in its annual stress test on Nov. 30. 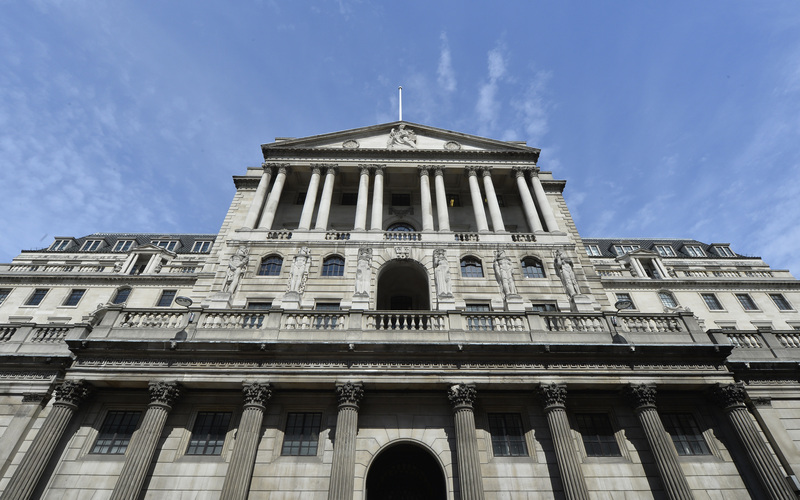 The UK bank recorded a 5.5 percent core Tier 1 solvency ratio in the BoE's stressed scenario - 10 percentage points smaller than its current buffer. The result is below the 6.6 percent hurdle rate which combines the so-called Pillar 1 minimum requirement and the bank-specific buffer known as Pillar 2A. It was also below its 7.1 percent Systemic Reference Point, which includes an extra buffer on banks that are deemed systemically important. RBS said it had agreed a revised capital plan with the BoE which would see it cut more costs, shrink its balance sheet, and run down or sell non-core loan portfolios. Standard Chartered also recorded a 5.5 percent stressed ratio, but after the impact of restructuring it hit its hurdle rate. Barclays also missed its 6.8 percent hurdle rate, but after restricting dividends it slightly exceeded it. HSBC, Lloyds Banking Group, Nationwide and Santander UK all met their hurdle rates and their systemic reference points. RBS shares fell by 4.5 percent to 188 pence as of 0934 GMT. The context news has been changed to add RBS' share price move.